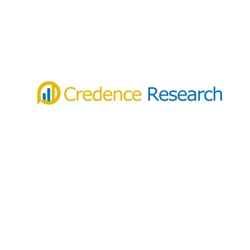 The latest market report published by Credence Research, Inc. “Global Novel Drug Delivery Systems (NDDS) Market – Growth, Share, Opportunities, Competitive Analysis, and Forecast, 2016 – 2022,” the Novel Drug Delivery Systems (NDDS) market was valued at USD 165.4 Bn and is expected to reach USD 202.5 Bn by 2022, expanding at a CAGR of 2.7% from 2016 to 2022. The novel drug delivery system (NDDS) provides a therapeutic amount of drug to the specific site in the body to accomplish promptly and then maintain the desired drug concentration. The drug- delivery system should deliver drug at a rate control by the necessarily of the body over a specified term of treatment. Market experts suggest that, There is a continuous growth in the market of drug delivery systems and will continue to grow at an impressive rate in future also. The novel drug delivery technologies enable to formulate the novel drug delivery devices by incorporating the drug molecules into new delivery systems, thus providing numerous therapeutic and commercial advantages. It was observed that NDDS market was segmented on the basis of route of administration, type of carrier and geographical region. In route of administration segment, injectable drug delivery system was observed as the largest market in 2015 followed by oral drug delivery system. Injectable drug delivery system comprises of several benefits over other dosage forms in cases such as unconsciousness, nausea, in emergency clinical episodes. The key players involved in the novel drug delivery systems (NDDS) market are 3M Company, Abbott Laboratories Ltd., Amgen Inc., AstraZeneca Plc, Bausch & Lomb, Baxter International Inc., Bayer AG, Boehringer Ingelheim, Boston Scientific, Bristolmyers Squibb, Celgene Corporation, Cephalon, Inc., Genentech Inc., Genzyme Corporation, Glaxosmithkline Plc, Johnson & Johnson, Merck & Co., Novartis AG, Pfizer Inc., Roche Holding AG, Sanofi SA, and Teva Pharmaceutical Industries Ltd.
•	North America is expected to lead the global novel drug delivery systems market due to high disposable income, increasing research and development activities associated with development of drug delivery systems, high adoption rate of novel technologies and supportive reimbursement policies. Kommentar hinterlassen on "Novel Drug Delivery Systems Market Is Expected To Reach USD 202.5 Bn By 2022"